Whether you’re health-conscious or just thirsty for something fresh and sweet, organic juice or smoothie can work wonders. Nebraska has an abundance of smoothie shops and juice spots where you can get your daily fruits and vegetables in an easy, drinkable form. Here are the best smoothie and juice places in Nebraska! Evolve Paleo Pantry, a meal delivery service that offers paleo-friendly foods, allows customers to select their foods online and pick them up at their Omaha location or have them delivered right to their doorsteps. Everything is made from scratch and the Omaha storefront also sells cold-pressed juices and smoothies. NuVibe Juice & Java is a locally-owned coffee and smoothie shop that whips up all natural smoothies and other homemade goodies. With a cafe and a drive-thru in Lincoln, students in this university town can conveniently pick up a fresh smoothie any time! High Vibe Cafe promotes healthy lifestyles, healthy eating, and fresh ingredients with its two locations in Nebraska. High Vibe offers a variety of tasty snacks, smoothies, juices, and acai bowls. Specializing in Vietnamese sandwiches and bubble tea, Banhwich Cafe is a local lunchtime favorite. Taking bubble tea one step further, the Banhwich Cafe bubble tea smoothies are a blend of their original fruit bubble teas plus extra fruit. The Beanery is a mom and pop coffee shop located in Gretna and Papillion, but coffee isn’t all they serve. The Beanery also has a number of tasty fresh smoothie options on the menu, including wild berry, mango, cherry, green apple, and more. 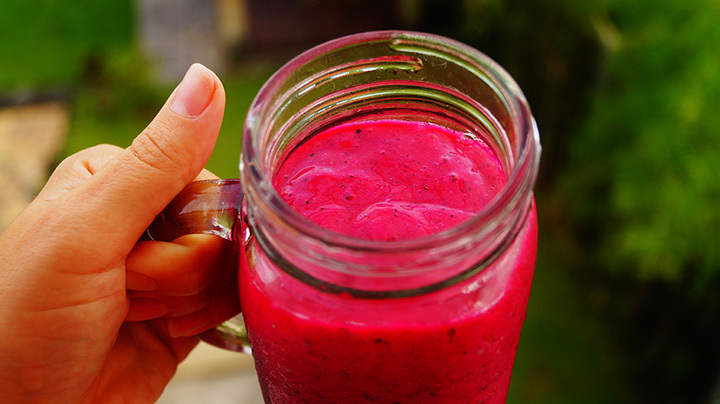 Looking for a fresh smoothie for your morning jolt? Then head to Downtown Coffee Company in Norfolk. This friendly, locally-owned shop offers fresh fruit juices and smoothies. Located in Omaha, Island Blends is a fabulous smoothie, coffee, and light lunch stop. Choose from a variety of fresh smoothie flavors and enjoy it in the cafe or take it to go and enjoy it while shopping at Paradise Plaza. Fox Hollow Coffee offers a variety of hot and cold drinks to choose from. For smoothie lovers, flavors range from mango to acai berry and you can also opt for lighter fruit or yogurt-based smoothies.